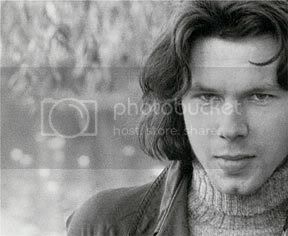 The following is a listing of photographs of Nick Drake, focussing on his time as a musician post 1966. It was initially compiled in 2011, and since then a number of additional images have come to light. Though many of the images are known to fans from lp and cd covers, biographical memoirs, reviews and web sites, they are listed here comprehensively for the first time in chronological order. 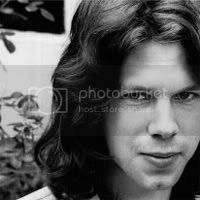 This is to aid in the ongoing research into the life and times of Nick Drake, as the artist remains something of a mystery. 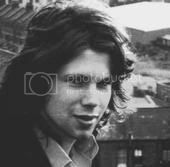 Images of him are relatively, with two superb examples by Tony Evans from 1971 only "discovered" in October 2011, and a gig poster coming to light in late 2016. Questions arise as to precisely when the various images of Drake were taken, by whom, and what were the circumstances? 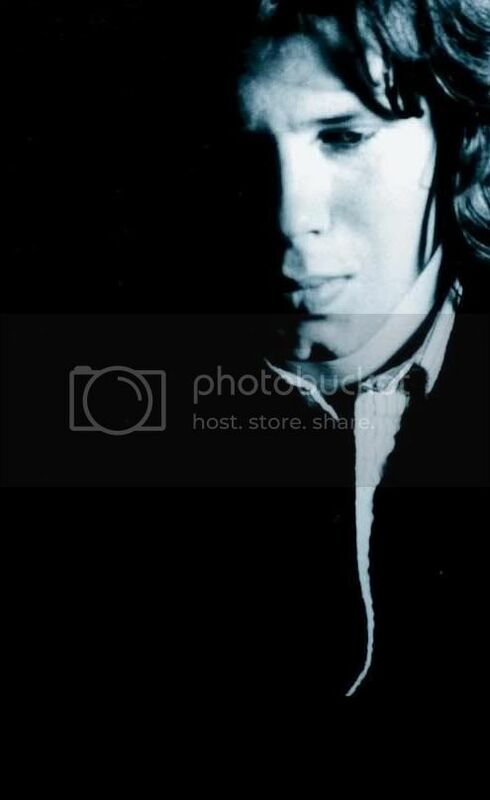 "By whom" is relatively easy to answer - the majority of extant photographs of Nick the "pop star" are by friends such as professional photographer Keith Morris, Julian Lloyd, Tony Evans and Nick's own family, though the latter mainly took photos in the period prior to his maturing as a singer / songwriter. What is not so easy to determine is the precise date and location of the images. Thanks to recent publications such as Trevor Dann's Darker than the Deep Blue Sea (2006) we can answer some of these questions. The proliferation of images of Nick on the web is also of assistance. 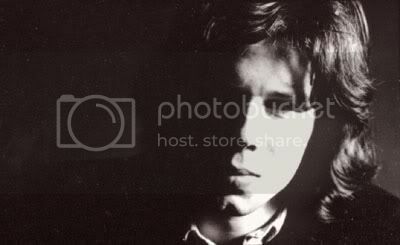 The largest collection of photos of Nick is by professional photographer Keith Morris, who undertook 3 substantial photo sessions in April 1969, June 1970 and November/December 1971. Internet sites containing large collections of usually un-annotated photos include Photobucket, Flikr, Google Images and last.fm. Information in the table below accompanying each photograph and image includes: date (where known), content and location. 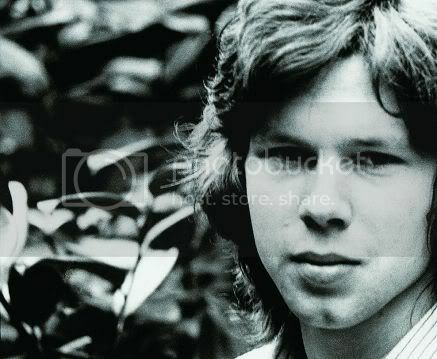 A small, low resolution, thumbnail reproduction is included to aid research and Nick Drake fans in perhaps further identifying the images and getting a feel for how the changes in his life were affecting him. The Hampstead Heath photos of 1971 are especially significant in this regard, and rather chilling, though whether this was just an effect by Drake and Morris, or real, is unclear. All images are black and white, unless otherwise stated. The compiler welcomes additonal information and corrections. Michael Organ, Australia, November 2011. Far Leys - Nick playing guitar at Marlborough College with Jeremy Harmer. Far Leys - Nick playing guitar in the lounge room of his home "Far Leys", Tanworth-in-Arden, with his sister Gabrielle Drake at his feet watching him play and his mother seated on the louge in the rear, dressed in red. Colour photograph. Far Leys - Nick playing quitar in the lounge room of his home, Far Leys. Nick in a multicoloured cape looking directly at the camera, with mushrooms in his hand, smiling. Colour photograph. Used on the cover of the Way to Blue cd (1994). Dated at anywhere from 1968 through to 1970, though there is a similarity between these photographs and those taken by Keith Morris on 29 April 1969.. NB: the multicoloured blanket / cape Nick is draped in still survives - hanging in a store in the UK. Nick in a multicoloured cape looking down at his hand, holding mushrooms he had recently picked. Colour photograph. Nick in a multicoloured cape lying in amongst some tall grass, smiling. Colour photograph. Nick in a multicoloured cape standing in amongst trees - distant shot. Colour photograph. Reproduced in monochrome on side of Fruit Tree cd box set (1994). Distant shot of Nick in a long black coat walking along a Welsh beach, head down, smoking a cigarette. Harlech was close th the home of his friends the Ormsby-Gores. 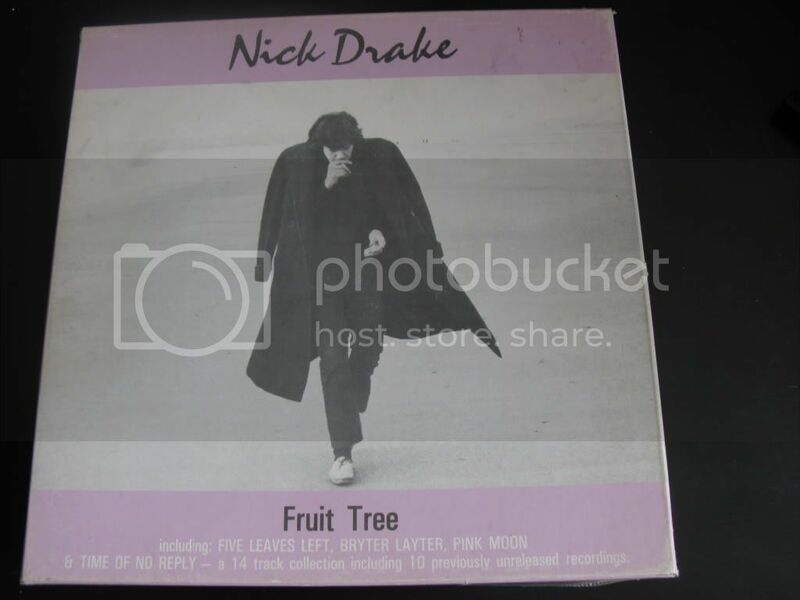 Reproduced on cover of Fruit Tree cd box set (1994). 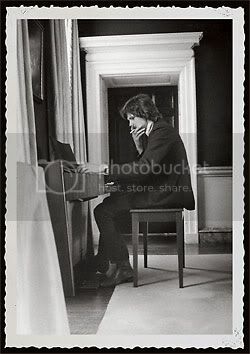 Close up head shot of Nick walking along a Welsh beach, head down, smoking a cigarette. .
Nick seated in a room, playing an organ / electric piano and puffing on a cigarette. Nick inside a room, in a derelict house, looking out the window. Colour photograph. 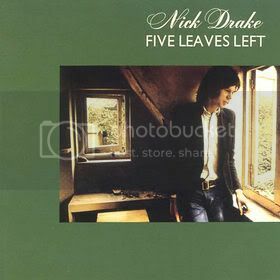 Used on the cover of Five Leaves Left lp (1969). Keith Morris took a large number of photographs of Nick during the three known sessions - only those publically released are included in this listing. Nick is smiling in this shot. Nick inside the house (same room as in cover of Five Leaves Left) looking out the window. Smiling. Nick inside a house (same room as in cover of Five Leaves Left) looking out window. Nick inside a house (same room as in cover of Five Leaves Left) looking out window. Nick with a "blue-steel" type stern look, towards the camera. Close up head shot of Nick with long grass in the background. Full length shot of Nick with jacket on amidst the long grass and looking towards the camera. Close shot from front amidst long grass, with Nick looking stern. Colour. Close shot from front amidst long grass, with Nick chewing on a piece of straw. Full shot front front, with Nick looking sad. Colour. Side, full length shot, with Nick laughing. Colour. With jacket removed to reveal pale yellow / white shirt. Assumed to be part of Wimbeldon Common session. Colour. Nick inside a dark room, seated at the end of long wooden table, head up, his hands together on the table, looking serious. An empty coffee mug in the right foreground. Black background. Nick inside a dark room, seated at the end of long wooden table, head up, one hand on the table, the other on his chin. Black background. Nick inside a dark room, standing, looking down towards the floor, smiling / laughing. Black background. Nick headshot, looking pensive. Black background on the left side. Nick headshot, looking downwards and sad. Black background on the left side. Nick headshot, looking towards camera with stern face. London. Nick looking to the right, in shadow. Nick standing against the brick wall looking at passers by. 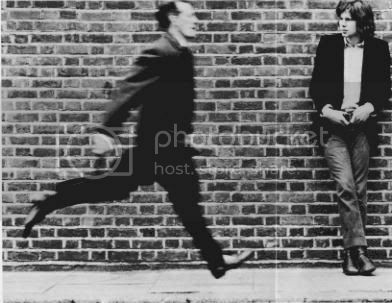 Nick looking at man sprinting. One of a large series of photographs taken on the day, with contact sheets having appeared in public revealing the large number of shots taken. Nick looking towards camera, smiling. 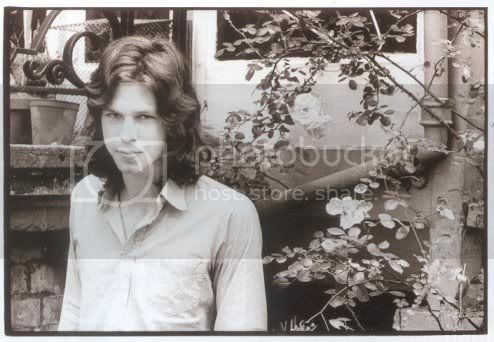 Nick sitting amongst the bush beneath a tree, playing guitar and looking up at the washing on the line with a big smile on his face. Colour. 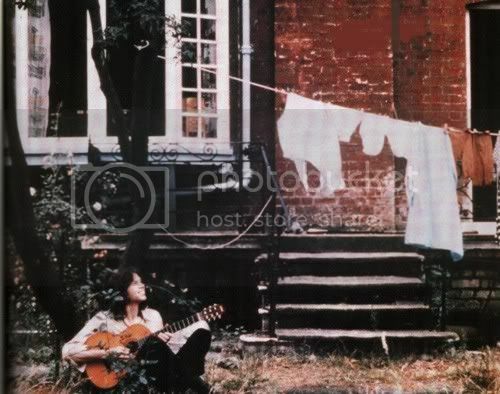 Long shot of Nick sitting under a tree behind his flat, playing the guitar. Distant view of Nick through the window of his flat, sitting and looking out. Rear of flat, Belsize Park, London #3. Nick in amongst the bush and looking down towards the left. Rear of flat, Belsize Park, London #4. Nick stanind in downstairs pathway, holding his guitar and looking up towards camera. Rear of flat, Belsize Park, London #5. Close up head shot of Nick, with bush behind. Rear of flat, Belsize Park, London #6. Close up head shot of Nick, looking towards camera with smile. Rear of flat, Belsize Park, London #7. Close up head shot Nick, looking towards the left. Rear of flat, Belsize Park, London #8. Nick standing over one of Keith Morris's cameras, lining up a shot. 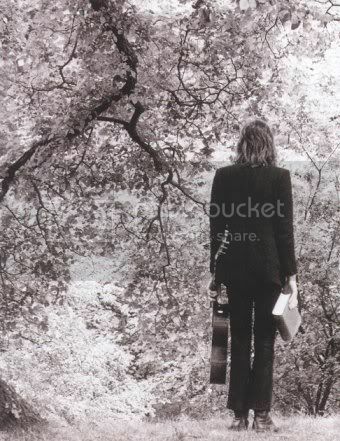 Sitting on the ground, by a tree, with his guitar and a book. Looking straight at the camera. 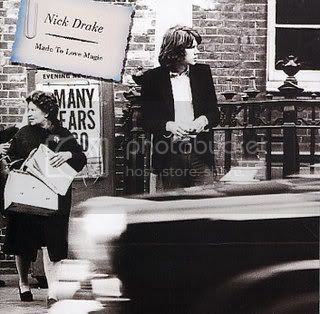 Animated gif of 3 pictures - Nick on ground reading a book; Nick playing his guitar and smiling; Nick walking away and looking back at the camera. Nick seated by the tree and looking to the left. Nick seated by the tree and playing his guitar. Note his large hand and fingers on the relatively small guitar. Nick with back to camera and guitar and book on the ground. Walking away with guitar and book in hand. 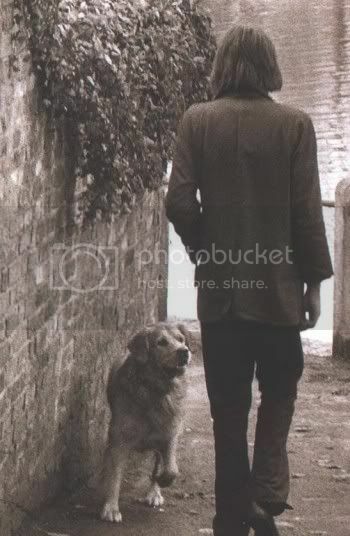 Precursor to the famous Hampstead Heath photo of Nick from November 1971, walking away with a dog looking up at him. Nick standing on the side of a hill looking down on the ground and to the left. Nick standing on the side of a hill looking down on the ground and to the right. 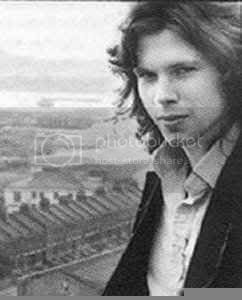 Close up head shot looking left towards camera with terrace houses in the background. Close up head shot of Nick looking right towards the camera. Nick standing tall and looking out to the left. Colour. Nick sitting on grass. Colour. Close up of Nick sitting on grass. 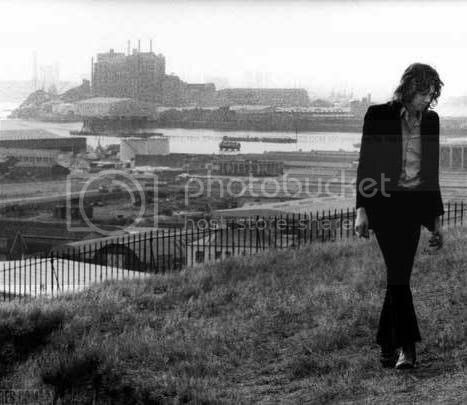 Nick standing on edge of the motorway, looking away from the camera. Colour photograph. Reproduced on rear of the Bryter Later LP (1970). Nick seated on a stool, with shoes in front. Cover of Bryter Later LP. Colour. Nick is sitting on a chair formerly owned by writer Charles Dickens. Nick playing live, seated on a stool. 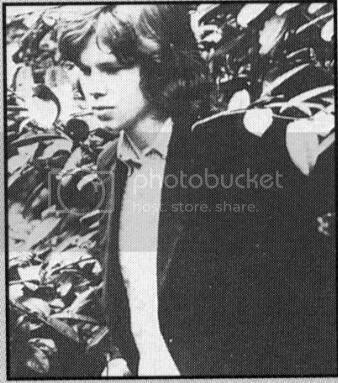 Unknown location or date - perhaps during one of his many gigs at Cousins, London. Image copied from an unknown publication. Seated, front shot. Nick is wearing a cardigan and is unshaven. First published in Mojo, October 2011. Front shot, full body, with head down and smiling. Long shot, frontal, with Nick holding the guitar in front of him. Coloured image. Nick looking directly at the camera - expressionless. 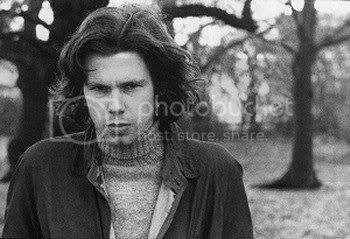 Wearing a polar neck jumper, long jacket, hair unkempt. This series of shots were the last known to have been taken of him. Nick looking directly at the camera - expressionless. Wearing a polar neck jumper, long jacket, hair unkempt. Nick looking directly at the camera - slight smile. Wearing a polar neck jumper, long jacket, hair unkempt. Variant of #1. Nick far shot, walking in park, looking towards camera with a somewhat concerned, blank look on his face. Nick seated on a park bench, his hands in his pockets, sitting on a cloth he had placed on the seat and looking aimlessly ahead. Side view. Close up head shot of Nick, looking to camera, hair over eyes. Nick seated on a park bench, his hands in his lap, looking aimlessly ahead. Nick sitting on bench. Side view with Nick on the left. Nick looking out across a lake. Side view with Nick looking towards the right. Side view of Nick looking towards the left. Nick looking towards the right. Distant view of Nick looking towards the camera with lake behind him. Standing by guard rails. Famous "black-eyed dog" shot of Nick walking down path towards lake, with back to camera and hand in left pocket as dog approaches. Published in Time Out magazine, London, 3 March 1972 in association with the release of the LP Pink Moon. Site last updated: 8 November 2016. Return to Michael Organ's Home Page. Any comments, corrections, or additions to this site are most welcome.